We are getting closer, people. 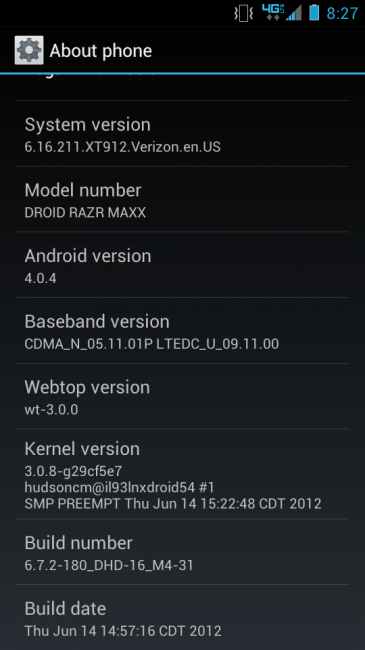 DROID RAZR and RAZR MAXX owners that hang out over at Motorola’s Support Forums have started to receive “soak test” builds of the Ice Cream Sandwich update that you are all waiting patiently for. When this happens, that means the test has officially begun. Once they have had a chance to play with it for up to a week (hopefully less time in this scenario), then the update gets a final approval and is made available to the public. If you missed any of our coverage of the update so far, be sure to check it all out so that you are an Android 4.0.4 pro. Here is the full changelog and highlight list for the update. Here is an intro video from Motorola. Here is info on the leak that came out a few days ago, which is the same build. It can be flashed in your stock recovery, however, people are running into issues, so be careful. The official update should be here shortly and you may want to wait it out. For those that have received it, is it everything you ever dreamed it would be?